Are you interested in selling CreamedSoaps, but want to test out your clientele to see how they will respond?! Are you a Stay At Home Mom looking for an additional source of income? 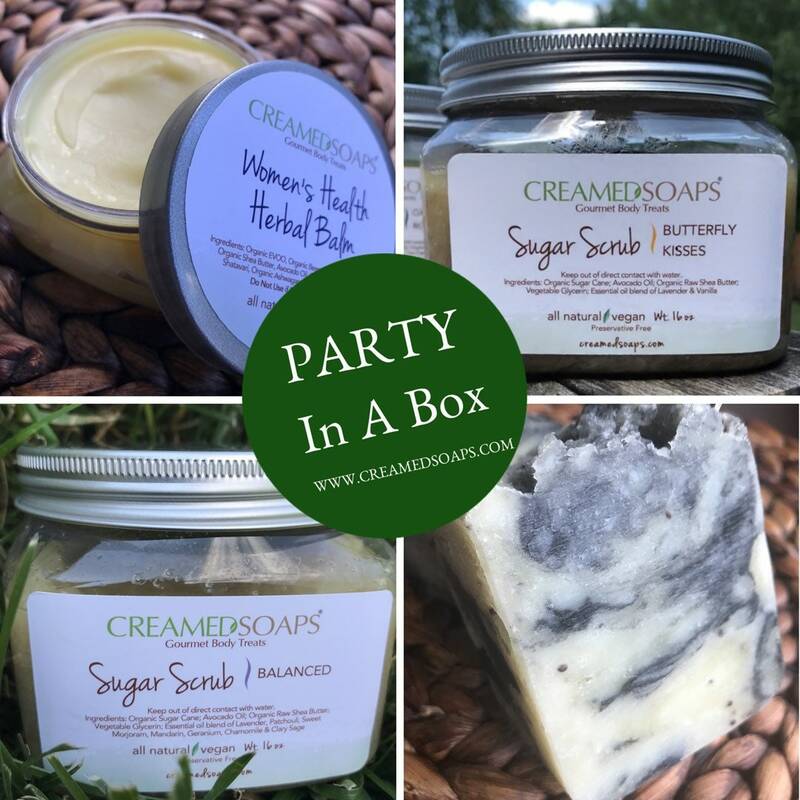 Party In A Box was created just for you! It offers you the ability to sample the staples of Creamed Soaps without having to meet the minimums for each item! Everything is Full Sized, Packaged and Branded! All you have to do is call your friends over and pull out your box! Instant CreamedSoaps party! You keep all the proceeds! Your clients can shop & leave with their items without paying shipping!